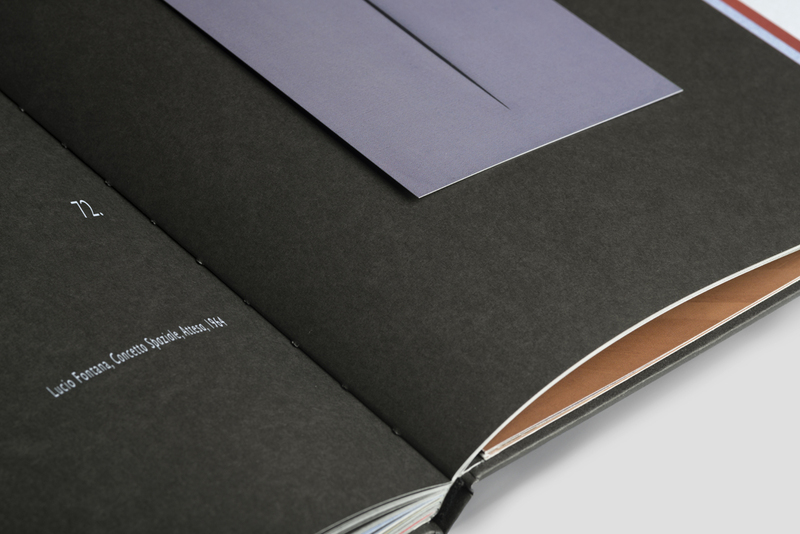 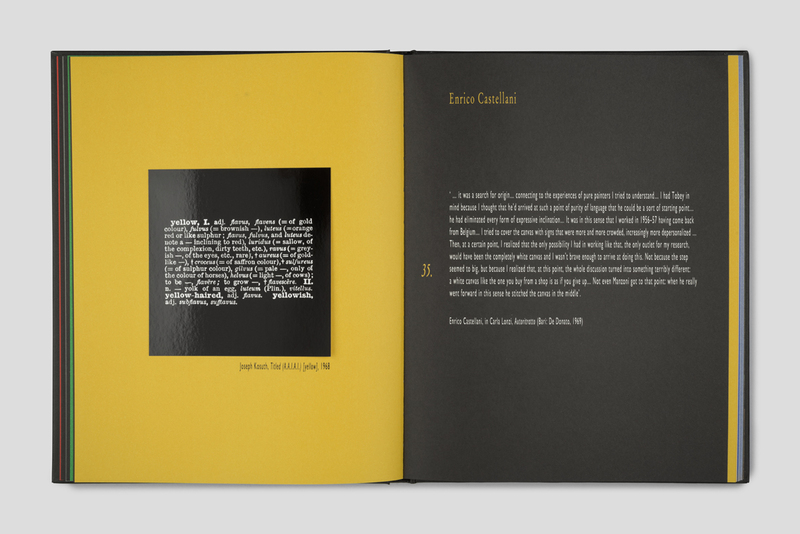 An artist’s book and exhibition catalog at the same time, elegant and precious, designed by the founder of Conceptual Art. 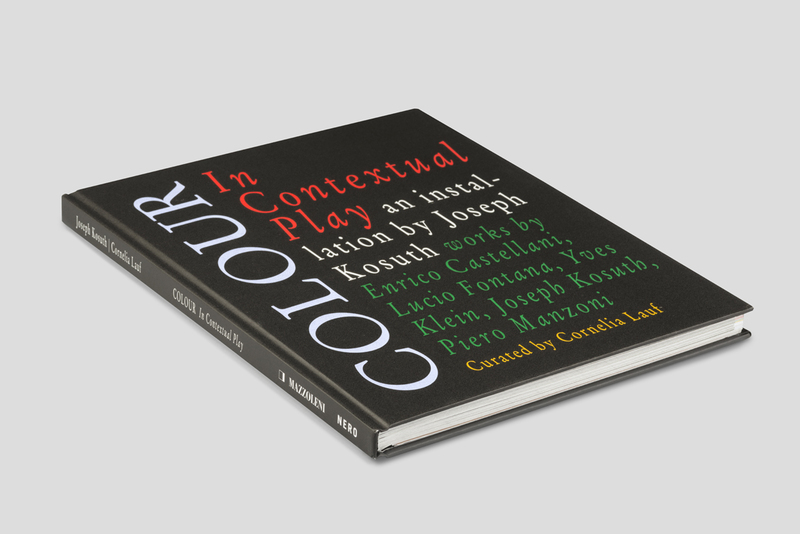 It serves as a visual analysis of the conceptual structures that interrogate the nature of color, form, space, and time, where the works and writings of Post-war artists such as Castellani, Fontana, Manzoni, and Klein, converse with Kosuth’s statements, and the theoretical as well as personal account of curator Cornelia Lauf. 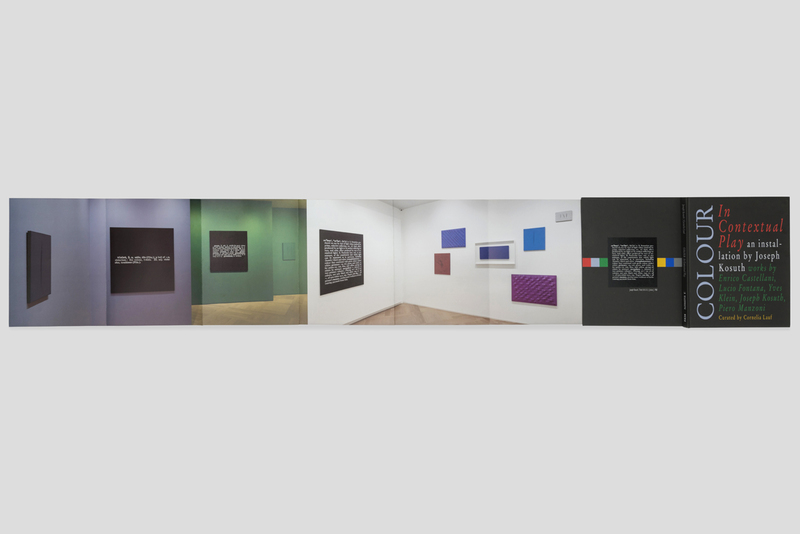 The exhibition at Mazzoleni London incorporates a selection of works by artists proposed by influential Arte Povera artist Emilio Prini, initially invited by Lauf to mount a monographic show. 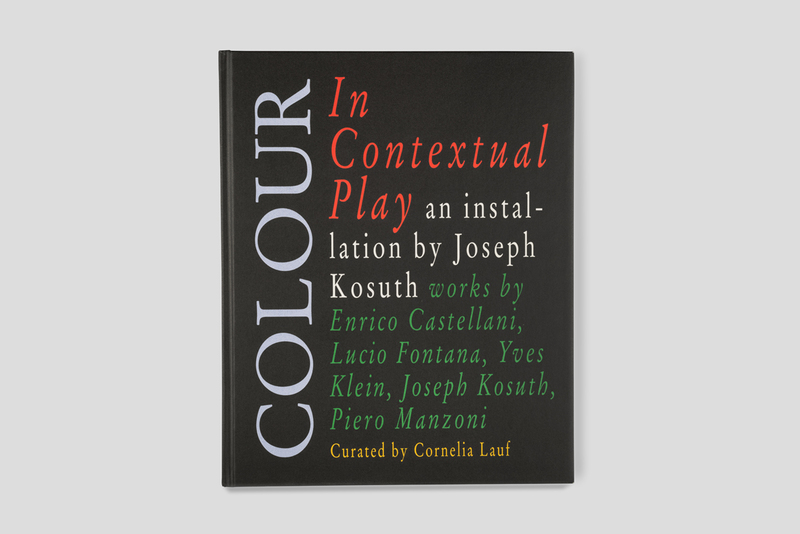 However, a few months before his untimely passing in 2016, Prini requested that his long-standing colleague, Joseph Kosuth, replace him. 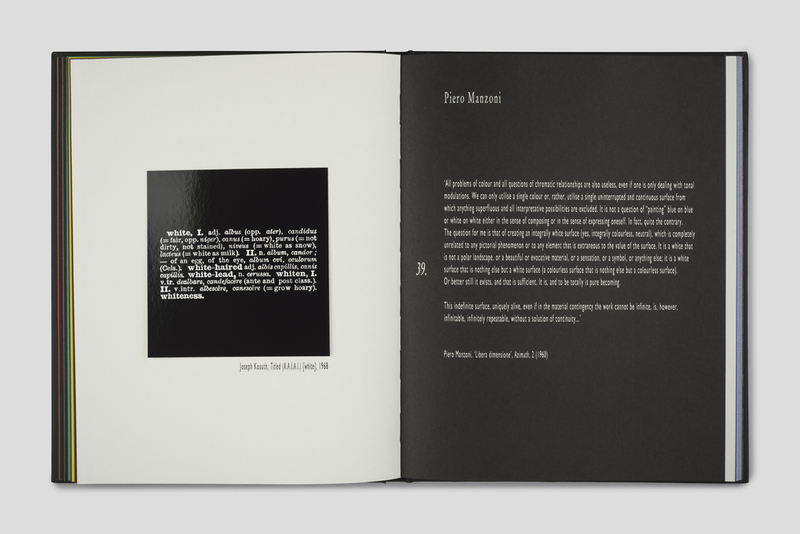 For Mazzoleni, Kosuth created a site-specific installation that juxtaposes the dictionary definitions of colors (“white,” “black,” “grey,” “red,” “green,” “yellow” and “violet”) from his 1968 series Art as Idea as Idea with monochromes by Castellani, Fontana, Manzoni, and Klein utilizing those colors. 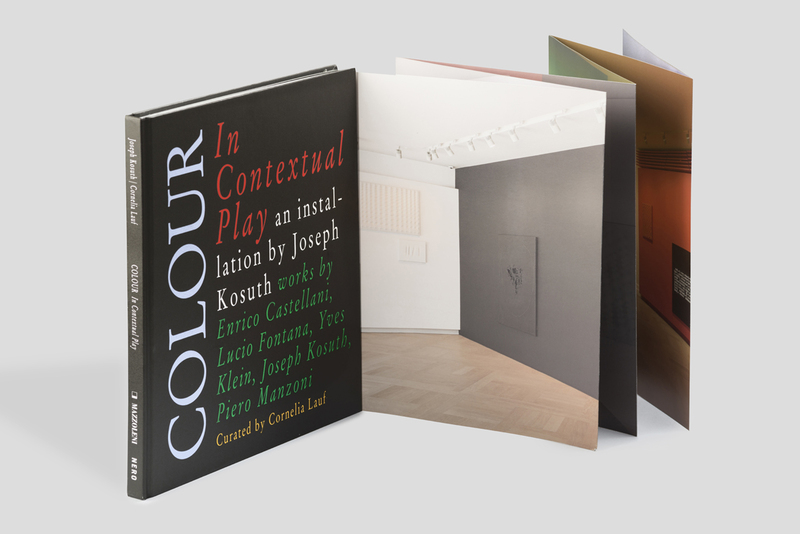 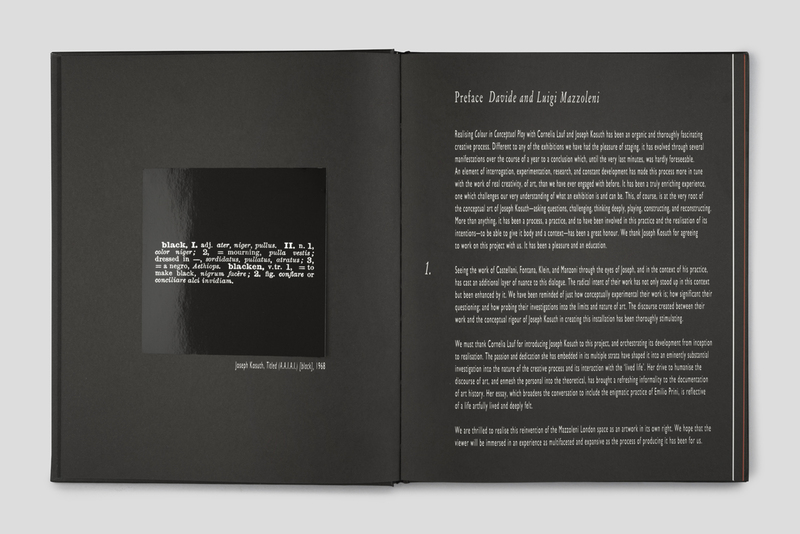 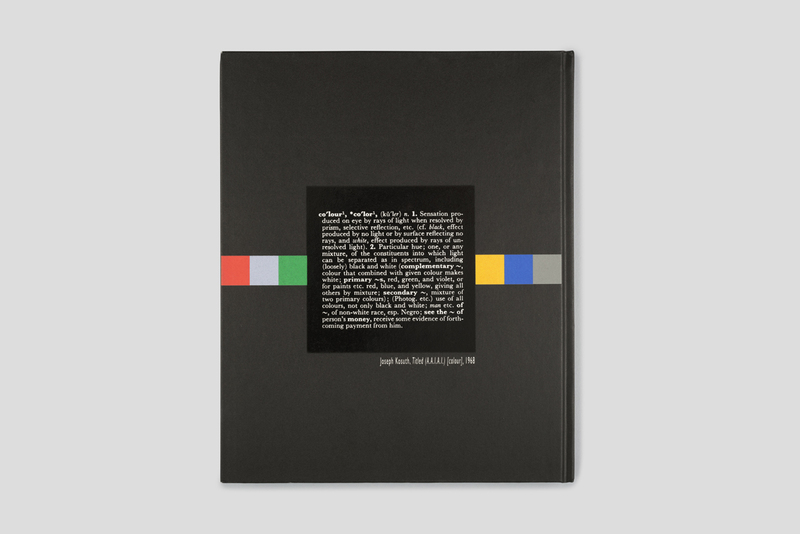 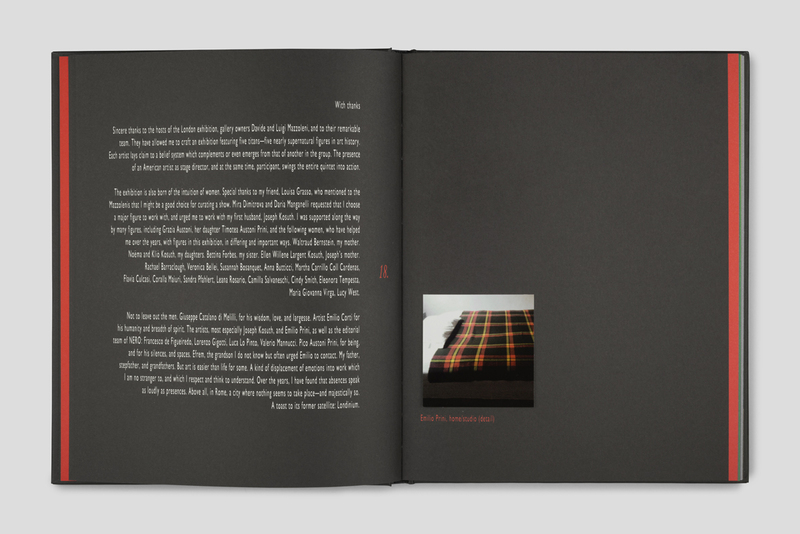 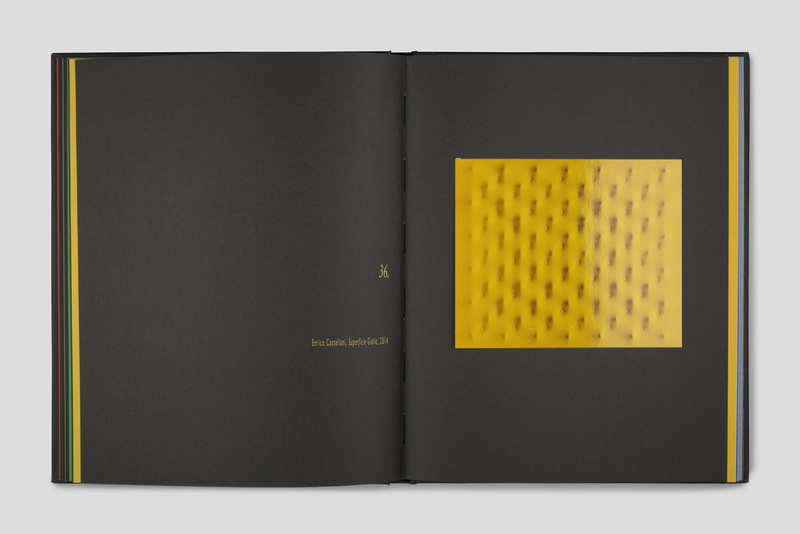 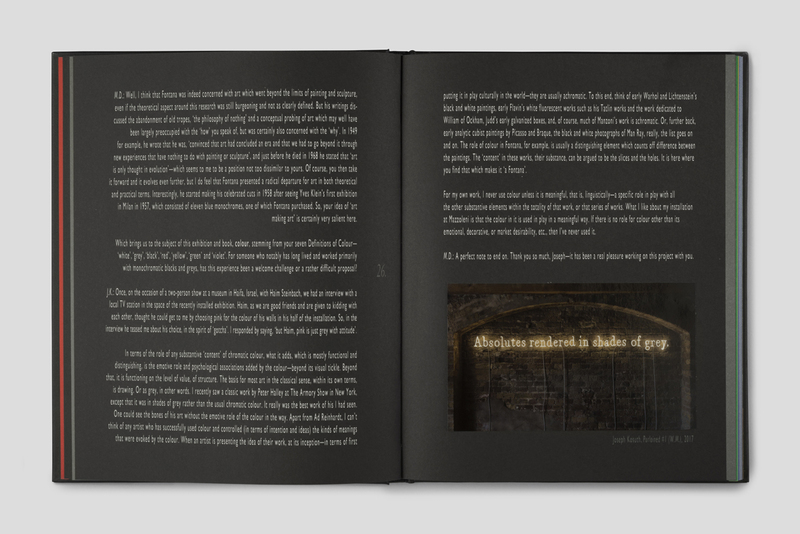 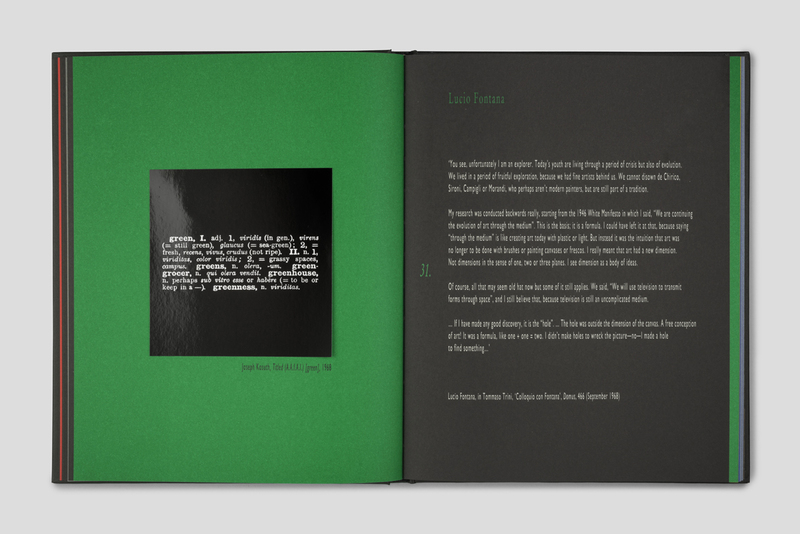 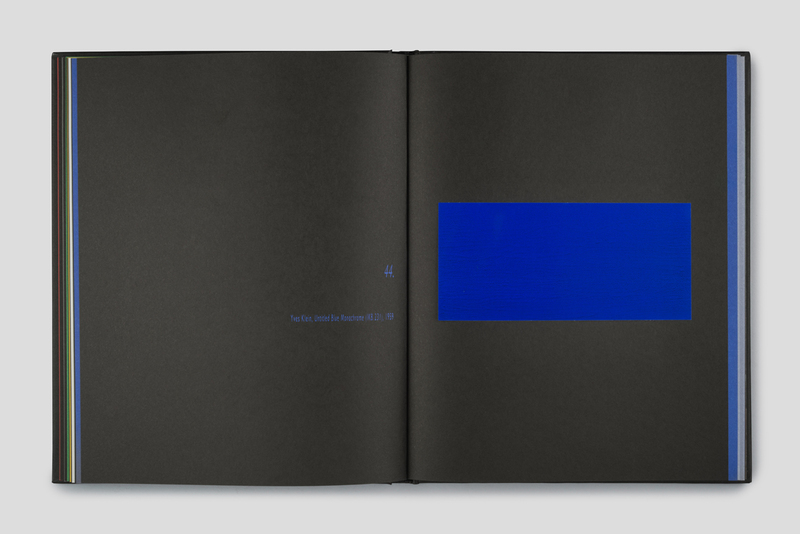 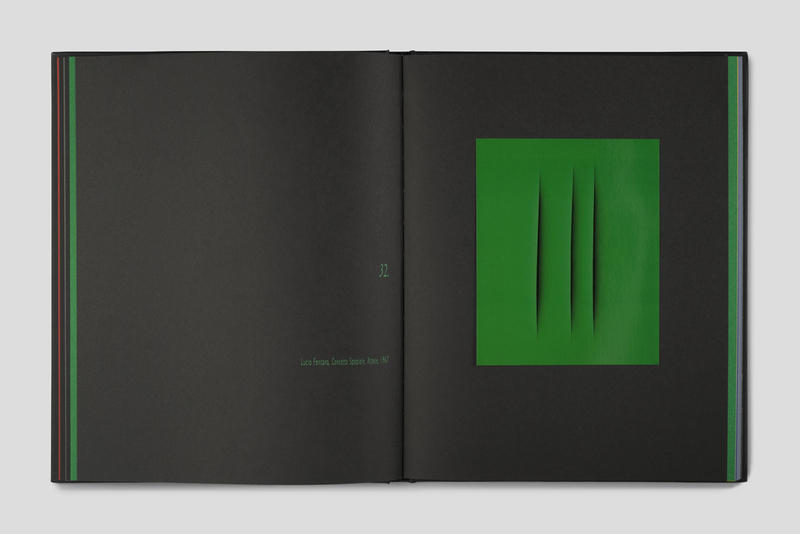 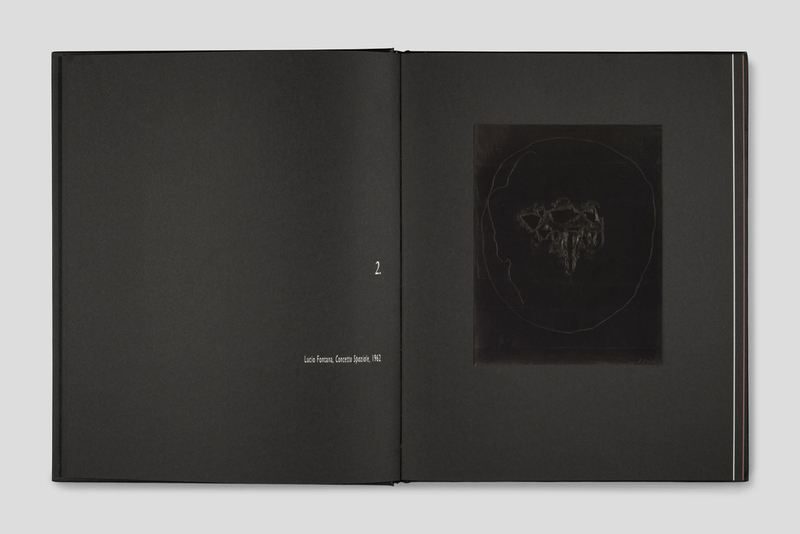 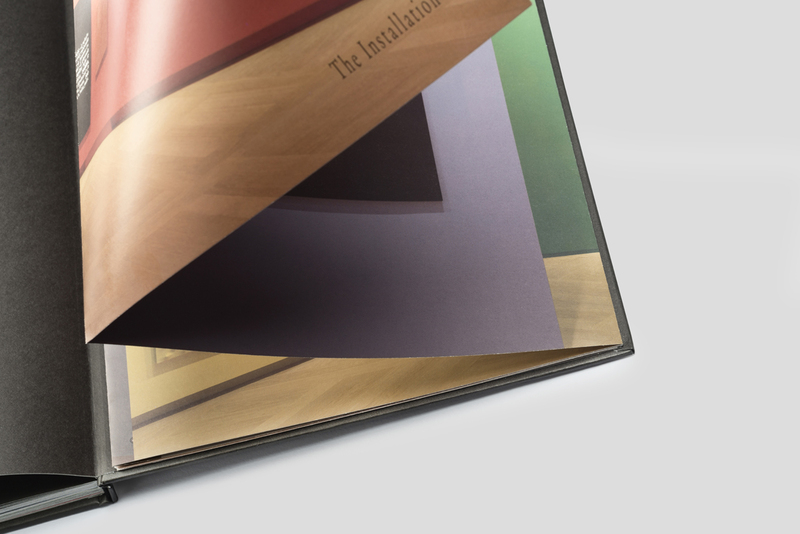 A homage to all five artists and to the liveliness of art, this book alternates chromatic and achromatic parts in the same way as in the exhibition—with colors that match works of the same hue— and features detailed reproductions of all artworks and a concertina folder with panoramic views of Kosuth’s installation. 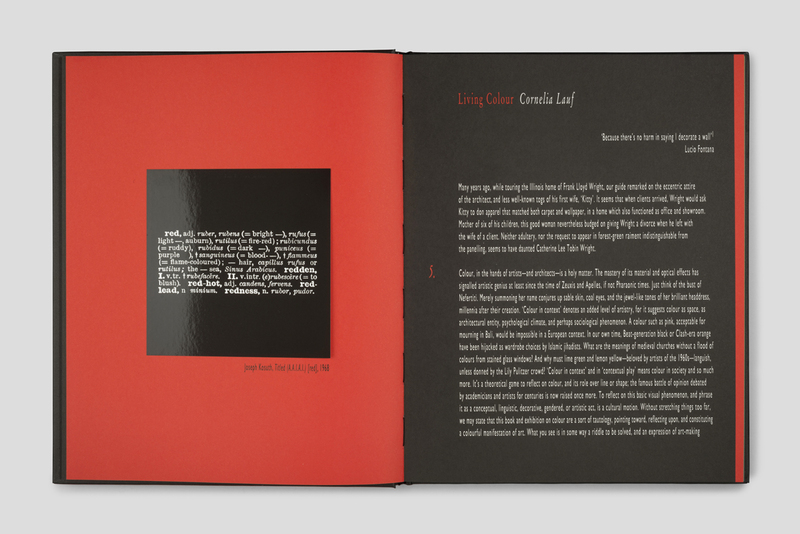 Edited and produced by Mira Dimitrova. 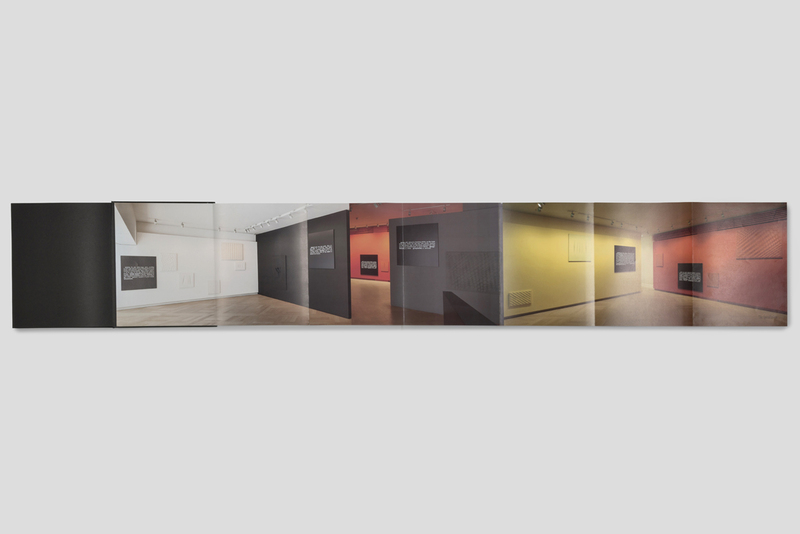 Texts by Mira Dimitrova, Joseph Kosuth, Cornelia Lauf, Davide Mazzoleni, Luigi Mazzoleni. Format: 21,5 x 26,5 cm.